In a Nutshell: A stunning series of natural disasters in 2017 cast a spotlight on a worldwide lack of affordable food, shelter, and medical supplies. Hundreds of millions of people around the globe are underserved by society and struggle to survive without life’s basic necessities. Whether in response to natural disaster or socioeconomic circumstance, Direct Relief has provided billions of dollars in assistance, as well as medicines and medical supplies, to more than 80 countries and thousands of US health centers over the last 70 years. Direct Relief raised more than $1 billion in donations in 2017 and was rated as the seventh largest US charity by Forbes, providing antibiotics, vaccines, and other medical neccessities to areas that would not typically have access to them. The second half of 2017 witnessed a host of horrific natural disasters that caused billions of dollars in property damage, tore apart communities, and filled news broadcasts around the globe. The combination of Hurricanes Harvey, Irma, and Maria, the earthquakes in Central Mexico, and the wildfires and mudslides in California claimed thousands of homes and lives. Although Direct Relief has spent the last 70 years improving the health and lives of people affected by poverty and emergencies, the nonprofit reported it has never seen a time with such great need. In response to the global tragedies, the organization managed to eclipse $1 billion in donations for the first time and rose to become the seventh largest US charity, according to Forbes. The donations helped Direct Relief furnish essential medications, vaccines, instruments, and supplies through 13,554 deliveries to all 50 U.S. states and 86 countries. For the nonprofit, it was business as usual. The organization was originally known as Direct Relief International until a little more than 12 years ago — when Hurricane Katrina devastated parts of Louisiana with flooding and high winds and opened the foundation’s eyes to domestic needs. 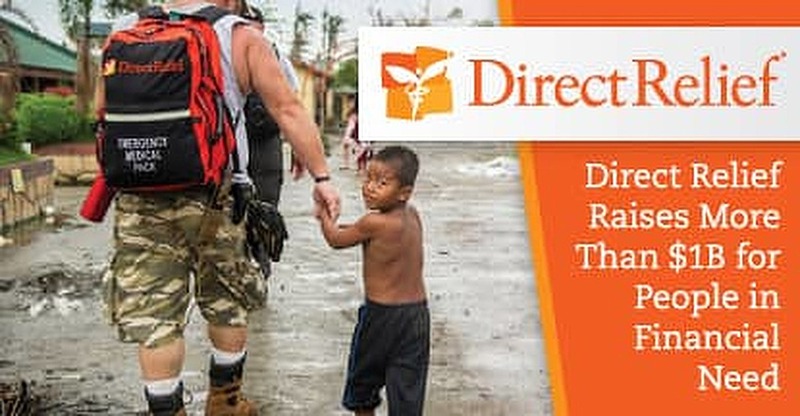 Following Katrina, Direct Relief shortened its name and began to grow a US network of 4,000 health centers and free clinics that serve one in 14 Americans who are not financially equipped to handle the cost associated with medical care. Direct Relief also works alongside groups like the International Diabetes Federation and diabetes associations in 50 countries to make sure children have access to insulin. Partnerships with the Union for International Cancer Control provide chemotherapy treatments where they typically aren’t available. 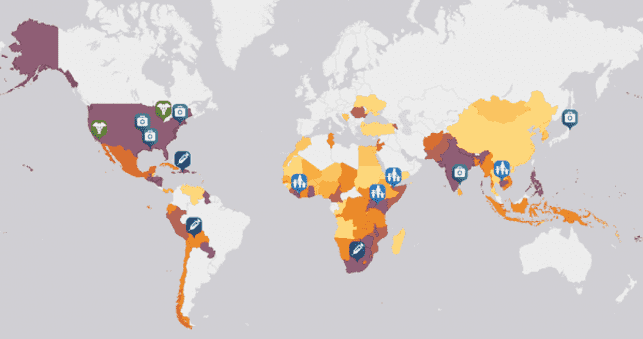 In the US, more than 28 million people are without health insurance. Large portions of that population reside in low-income communities that lack sufficient access to necessary healthcare, including medications. Many of those communities rely on health centers and free clinics that, in return, rely on organizations like Direct Relief to provide the prescribed medications issued at reduced or no cost. Direct Relief is the only US nonprofit licensed to distribute prescription medicines in all 50 states. The medicines are provided to the centers, which then distribute them to uninsured or underinsured patients. MacCalla said that 1 in 14 Americans visits a center that is supported by Direct Relief each year. That reach makes Direct Relief the largest charitable medicine program in the US. While the number of uninsured Americans can be startling to the uninitiated, the population of underserved people living outside of the country is far greater. Internationally, Direct Relief works in more than 80 underserved countries to provide access to medical treatment. Direct Relief’s support touches the lives of people in countries all over the world. In most cases, the answer is to find local residents working in the medical community who — with assistance —could respond to the health care needs of more people. That’s where Direct Relief comes in. Those things could include medical tools and supplies, as well as medications, education, or hygiene products. MacCalla has seen firsthand the devastation that poverty can cause. After the 2010 earthquakes in Haiti, he spent two years living in the country and helping its people recoup some semblance of their former lives. His experiences quickly raised several questions in his mind. Direct Relief offsets some of the operating expenses these facilities require by providing free medicine and supplies. “That brings the needs down a bit — maybe to $4 million — but it’s still very hard to operate like that,” MacCalla said. After 70 years of responding to disasters and other need-based emergencies around the globe, many of the employees associated with Direct Relief were affected by their own tragedy when the mudslides that claimed 21 lives in Montecito, California, hit close to Direct Relief’s home. 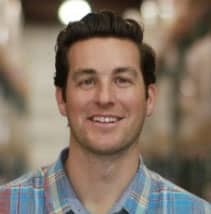 Andrew MacCalla is the Director of International Programs and Emergency Preparedness and Response at Direct Relief. “We’re now looking not only at what we can do around the world but what we can accomplish in our own neighborhood,“ MacCalla said. To provide aid for local residents excluded from federally-funded assistance programs — many of them undocumented laborers and farmers — Direct Relief provided an initial $100,000 contribution to UndocuFund. The organization also announced the issuance of a $5 million grant for health centers in Puerto Rico to help citizens recovering from Hurricane Maria, and another $5 million for health centers in areas of Texas and Florida still recovering from Hurricanes Harvey and Irma. The programs are part of Direct Relief’s continuing efforts to provide healthcare and medications to the millions of people around the world who are underserved by mainstream commercial healthcare. Whether providing vaccines and antibiotics, or facilities and tools, Direct Relief has enabled countless millions of people to regain their health and dignity in areas where most people just struggle to survive.